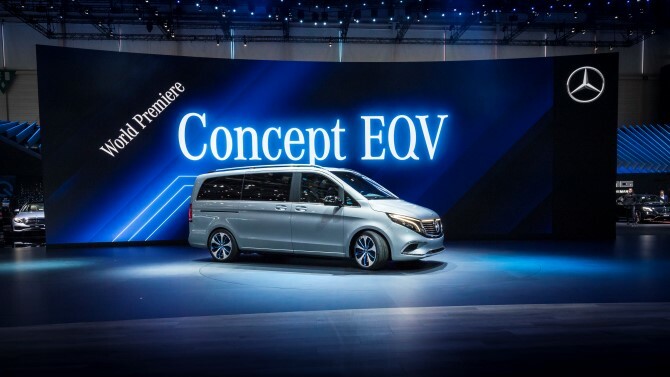 Mercedes-Benz has revealed its first purely battery-electric people mover called the Concept EQV ahead of its Geneva debut. The concept features a compact electric drivetrain (eATS) on the front axle with an output of 201 hp.  The electric motor, the transmission with fixed transmission ratios, the cooling system and the power electronics form a compact and integral unit. Energy is supplied by a 100 kWh lithium-ion battery which allows for a maximum range of 400 km and a top speed of 160km/h. The battery is installed in the vehicle's underfloor, allowing the entire interior space to be available without restriction. 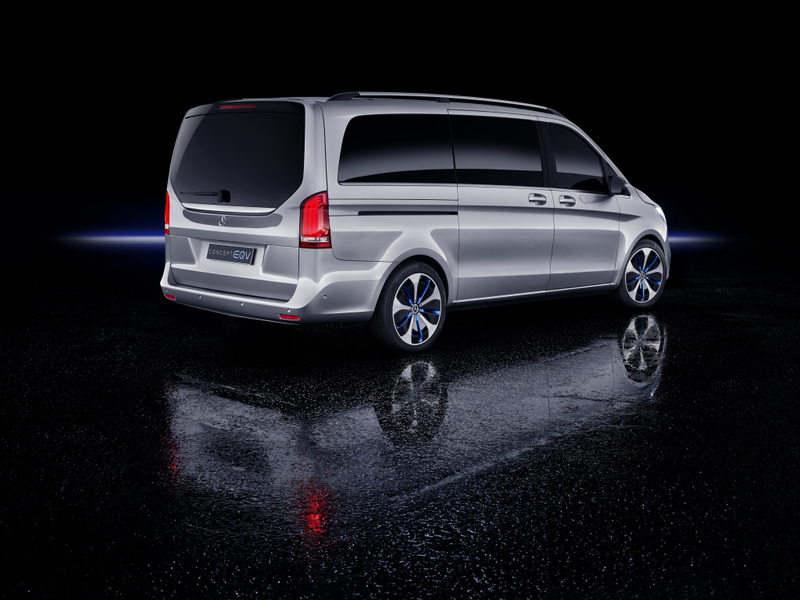 Chargeable at home using a Mercedes- Benz wallbox or a regular household plug socket, there is also a rapid charging function where the battery can be charged with enough energy for a range of around 100 km, in just 15 minutes. 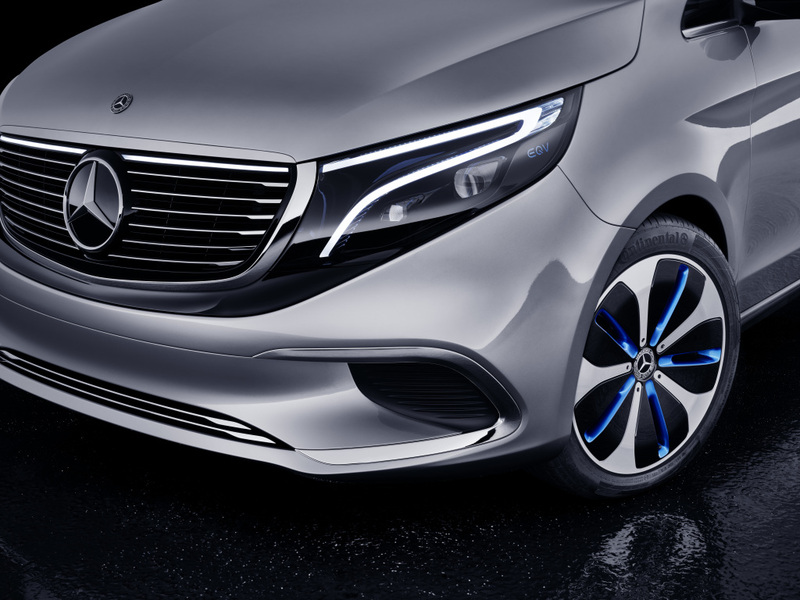 On the exterior, the Concept EQV is painted in high-tech silver, with key features like a radiator grille with chrome inserts and an LED band, large air inlets, broad chrome inserts positioned towards the outer edges, LED headlamps, as well as 19-inch light-alloy wheels. Taking centre-stage in the cabin is the Technoid cockpit, where the focus is on intuitive operation. 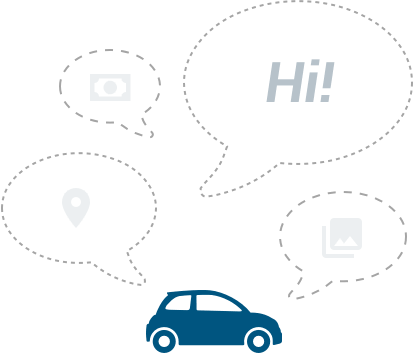 MBUX infotainment system, as expected, comes as standard. In keeping with the EQ brand design, the leather look of the dashboard in "Midnight Blue" is amplified by the trend color rose gold, which is reminiscent of copper wires. And then, there are the colored styling elements of the frame components, black Nappa leather seats, blue Nappa leather-clad armrests with rose gold topstitching, and dark-blue elements on the seat backrests. 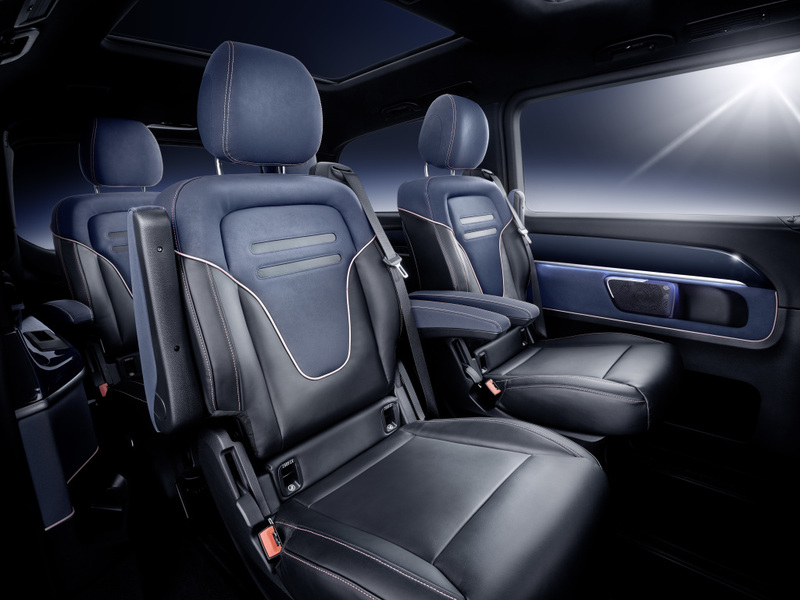 Speaking of seats, the Concept EQV can either be had with six individual “VIP” seats, a more family friendly 7-seater, or with a maximum of eight seats. 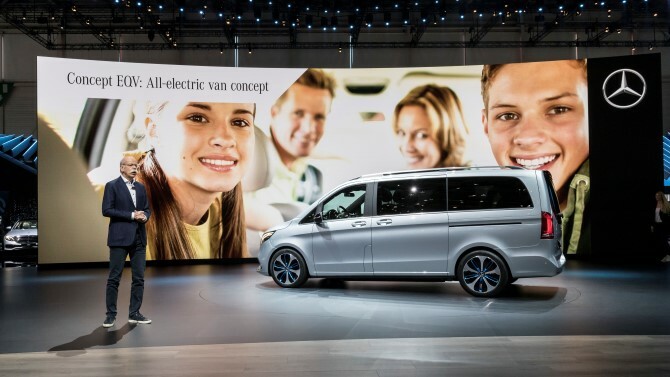 Having said that, Mercedes-Benz Vans announced that it plans to release a series-production vehicle based on the Concept EQV later this year at the Frankfurt Motor Show. This is in line with the brand’s mission to electrify its entire portfolio by the year 2022, which means that electrified variants will be offered in every segment.